I used to be indecisive, until I had baby. When you are a new mom, there is no time for being indecisive, you just do it and hope it will be good enough. It is good enough, because it was your best at the moment. So pre-baby, I used to take weeks to decide which designs to use for our holiday cards, but surprisingly, this year, I knew what I wanted even before I saw it. I wanted to create something simple. Simplicity has been on mind this holiday season. 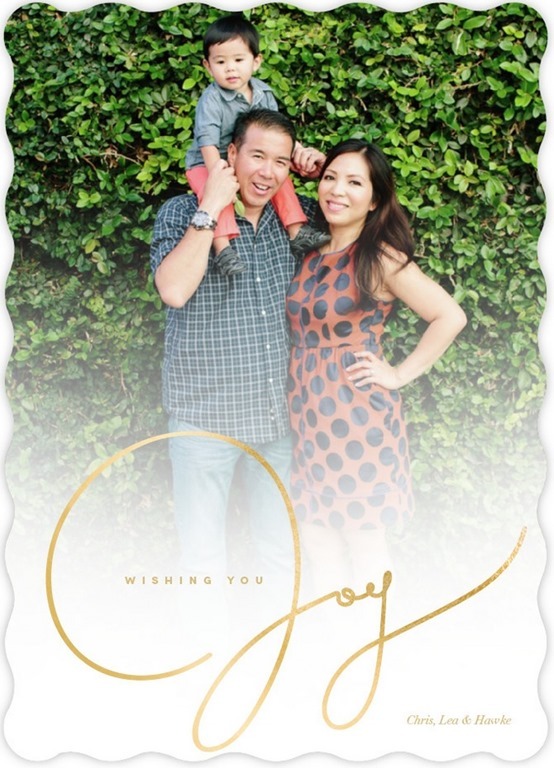 The folks at Minted got in touch with me and see if they could help with our holiday cards. Of course, I said yes! I love their designs and how creative they are. 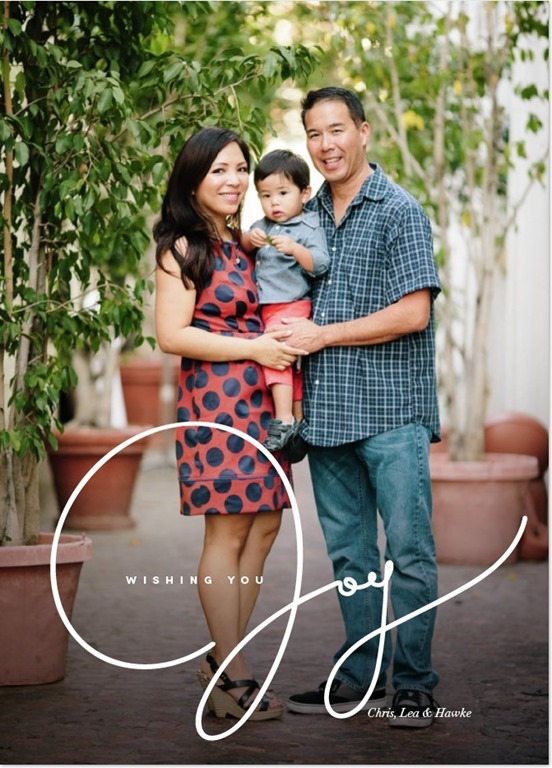 You can check out more of their favorite holiday card designs on their website. One of the things I look forward to every year during the holidays is sending and receiving holiday cards. I call it “happy mail”. I display them in our DIY card display wreath, picture below is from last year. It’s possible I might need to make a second wreath this year. We have family that live far, and that we don’t see often, so it’s amazing to see the kids grow up from year to year. I’ve designed a few cards already, saved them and will make the final decision this week. Here are the ones that I loved, I am really all about “JOY” these days. I loved the font on this card design and how beautifully it loops into the message. A different picture, same design but with gold foil as the font. I love using gold for special occasions and I find it very fitting during the holidays. This year, Minted is also offering new and completely different families of products. I’ve already been eyeing some pieces from their art collection and especially love the foil pressed art options, so excited to add them to our gallery walls. you guys make such a cute family! love the cards!